Prominent Palestinian politician Mohammed Dahlan, who is an MP in the Palestinian Legislative Council, stated on Wednesday, that the kind of destruction the Qatari regime has caused in the Arab world needs Doha to be held accountable. Dahlan said that he doesn’t get affected by the lies broadcast by the Qatari regime’s media outlets. Qatari and Turkish media claimed that Dahlan was beaten in the United Arab Emirates for refusing to be a “scapegoat” and take responsibility for the killing of Saudi citizen Jamal Khashoggi. 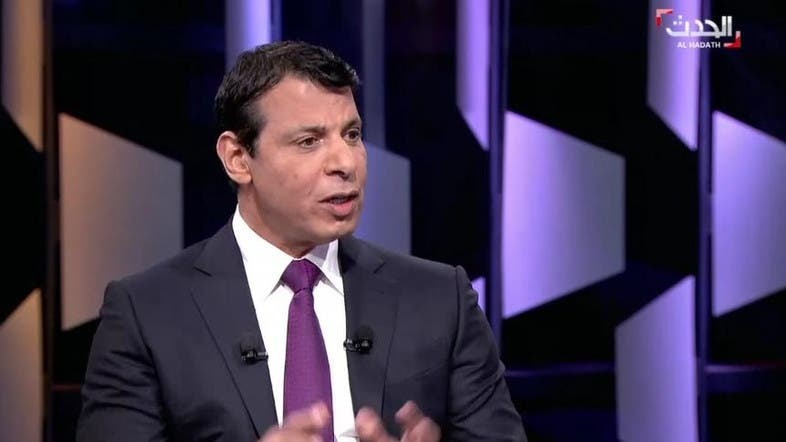 In an interview with Al Hadath, the Al Arabiya's breaking news sister channel, Dahlan said that Eyptian President Abdel Fattah el-Sisi will continue to rule Egypt and that both Qatar and Turkey have to coexist with this matter. The Palestinian legislator also said that Saudi Crown Prince Mohammed bin Salman will remain in his position and capacity in the kingdom, in a hint to the Turkish and Qatari media campaigns against Saudi Arabia and in particular against the crown prince. Dahlan confirmed that Qatar contributed to the Palestinian division since the beginning, pointing out that Doha paid $5 million only to the Palestinian refugee agency UNRWA during nine years. He added that the Qatari money goes to the Israeli defense ministry, then it is transmitted to Hamas faction. Dahlan called upon Palestinian President Mahmoud Abbas to visit Gaza - which is under the control of Hamas - and that the Palestinian people will welcome him.